The season began with the revamped and renamed Betfred Cup in mid-July. 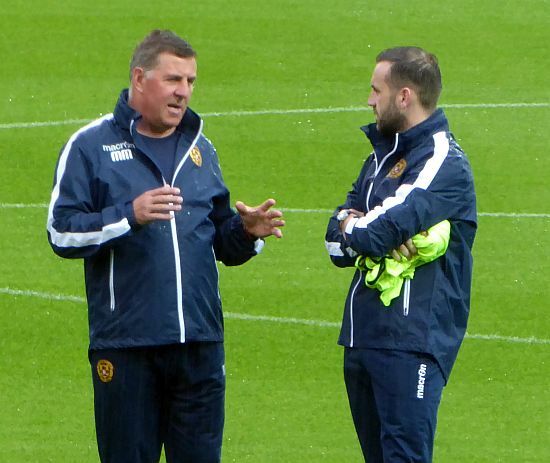 Mark McGhee had reshaped the squad that had finished fifth in the previous season and we set forth, as ever, ignorant of what was to come. There were a host of new faces including Dean Brill, Jacob Blyth, Lee Lucas, Carl McHugh, Richard Tait, Craig Clay, Ben Heneghan and Ryan Bowman. 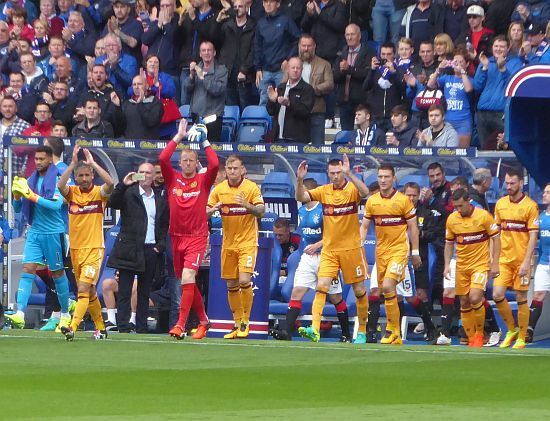 Most of them faced Rangers in the opening game of Group F but we paid for missed chances and lost 2-0 at Fir Park. Three wins against Annan, East Stirling and Stranraer had us in good heart for the knockout stage. Our reward was a trip to Parkhead and a heavy defeat to end our interest in the competition. The Premiership started with a mixed bag. A win at Rugby Park was followed by a poor defeat to St Johnstone. We were beaten by a cruel injury time goal at Ibrox despite holding the lead at the hour. The defensive weakness was to become a decisive factor as the season progressed. Some encouragement came in a four game run without defeat. 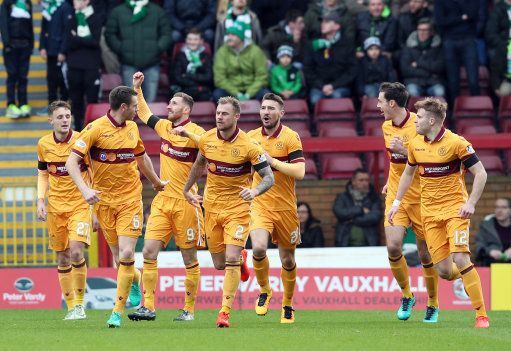 The highlight was the 4-2 pummelling of Hamilton that feature Louis Moult as a four goal hero. Losses to Hearts, Celtic and Inverness deep into October underscored our forthcoming difficulties. The sale of Johnson had raised much needed cash but the cost to the team was there for all to see. The completion of the long negotiation with les Hutchison opened a new chapter and made Motherwell FC a fan owned club. Responsibility for the well being of the club now rests with its supporters. The East stand was renamed the John Hunter stand in memory of ‘Sailor’ – our guiding light for so many years. The news came with a win over Ross County but there was no feel good factor in the park. We ran hot and cold (mainly cold!) and our reliance on the McDonald Moult partnership grew. The potential loss of either through injury or suspension was a worry. December started with one of the most exciting games of the season. Celtic had started their expected cakewalk to the title but a Moult double had us two up at the break. A change of shape saw the game switch in the second half and with 20 minutes remaining they equalised. Ainsworth put us 3-2 ahead but we buckled under great pressure and we lost 4-3. 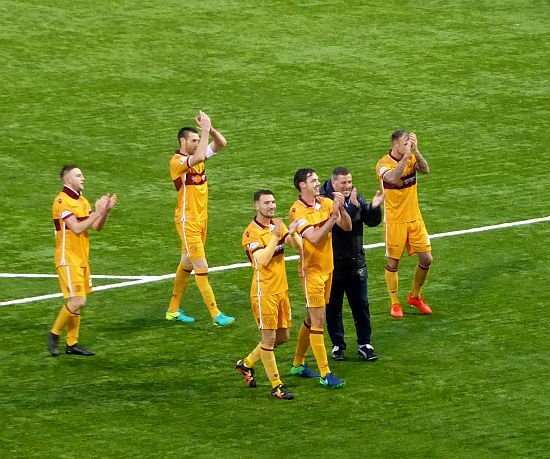 A Hogmanay draw at New Douglas Park was celebrated like a win. We had to play with ten men for most of the game following Lucas’ 27th minute dismissal and needed a 90th minute goal from (who else?) Moult to grab a point. Memories of those happy scenes in the away end would soon disappear as we entered a slump after the winter break.